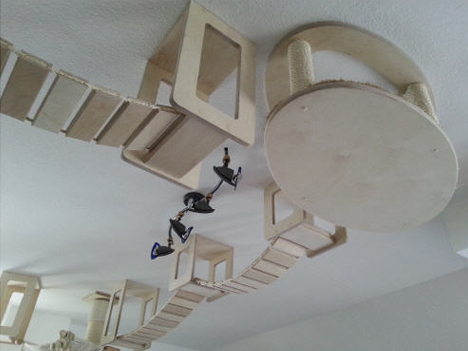 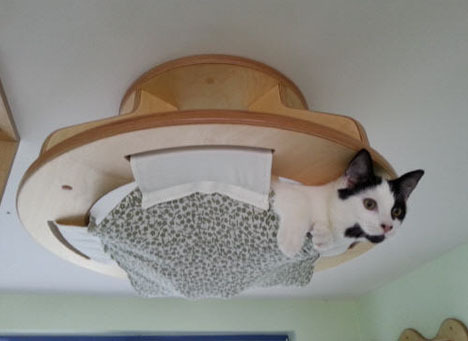 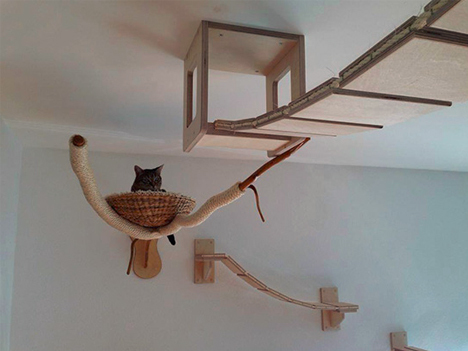 Furnishings for felines are nothing new, but this one-stop shop provides modular bridges, beds, posts and platforms designed as a kit-of-parts solution to turn any room into a cat’s personalized paradise. 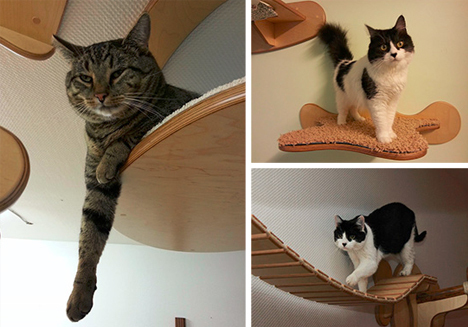 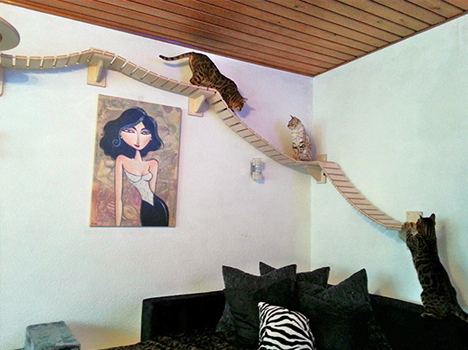 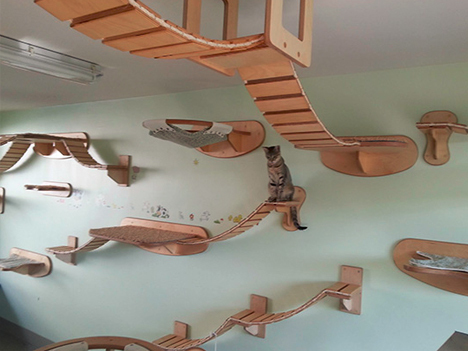 Goldtatze boasts ground-up scratching posts but also wall-hanging walkways and ceiling-mounted spaces to allow cats full access both horizontally and vertically, while conveniently leaving room below and between for human companions (especially useful in small-space urban dwellings). 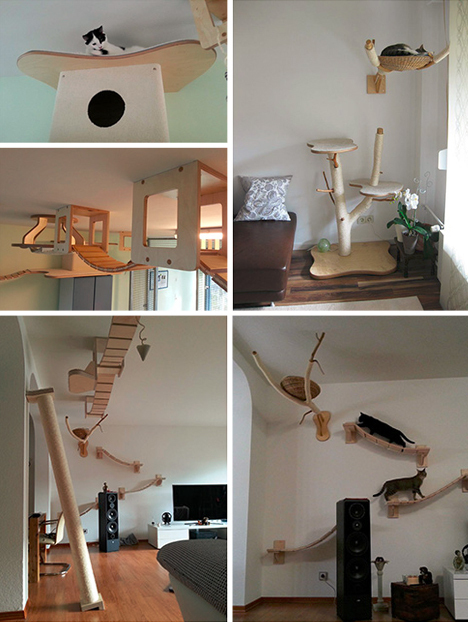 Designer and craftsman Stefan Hofmann set about to solve a problem for his own domestic best friend (an indoor-only cat) and went on to create solutions that could be deployed beyond his own home. 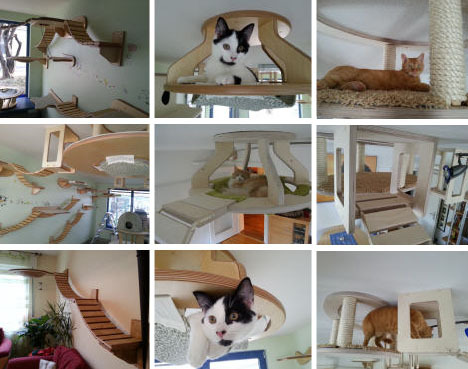 By breaking the system down into a series of individual pieces, the effect is much like that of visiting an IKEA store – the parts are made to be structurally and functionally autonomous, but also to mix and match in custom configurations. 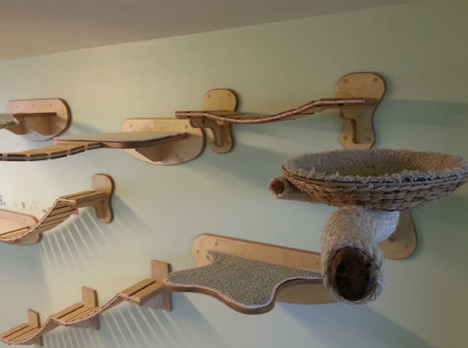 From scratching posts to snuggle bowls, the resulting furnishings and fixtures play on feline favorites like boxes and baskets, providing all kinds of places to explore or simply curl up and observe surroundings (from a safe, secure and self-selected distance, of course).